Thank you for visiting E Z Sleep Lab’s website. 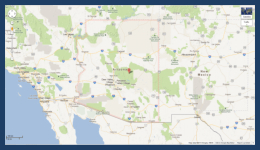 We are a physician-directed sleep disorder facility located in Prescott, Arizona. Our facility boasts a state-of-the-art sleep laboratory and equipment as well as a tranquil modern environment where you can be relaxed as our doctors assess, evaluate and eventually treat your sleeping difficulties. At E Z Sleep Lab our physicians are experts in the field of sleep disorders. They are proficient in evaluating and diagnosing a broad spectrum of sleep problems and patient education. For questions and concerns, you may call us at 866-439-7533 for more information. You can also reach us by leaving us a message through our online Contact Us form.